We all wish for something better. We all want more out of our lives. Some people want more money, money friends, more free time, a better love life, more education and so on. Even if our lives are going relatively well we seem to always seek for something better. And that is okay! Of course we should be satisfied with what we have, but we should also always be striving for something better. We should always be trying to improve ourselves and our lives! I think it is safe to say that everybody has dreams. Remember when you were little and you had all of those plans for when you got older? Remember when you thought you were going to be a doctor, a dentist, a professional athlete or an astronaut? Remember when you were convinced you were going to be rich, have a fancy car and live in a mansion? What ever happened to that little child who had ambitious dreams? What happened to that kid who wouldn’t believe anybody if they were told they weren’t going to be rich and famous? I knew my fair share of little girls who were convinced they were going to be movie stars and professional singers. It didn’t matter that half of them couldn’t even sing. As we get older we feel like our dreams are actually illusion. We believe that not having dreams is just being realistic and often times as adults, we become cynical towards the world around us. You are sometimes convinced that dreams are just for people who can’t accept their real life. You stop dreaming and start accepting that you will always be “working for the man” and “working for the weekend.” You trudge along in your 9-5 job and you count down the seconds every day before you get to go home and leave the prison walls of your office. Why do you just accept this as your life? Why don’t you dream? Why do you have to have permission to dream? Why are you waiting for somebody to tell you that it is okay to want something bigger and better? I am here to tell you that you don’t have to accept your low paying job! You don’t have to accept “working for the man” and you don’t have to work your tail off and still feel like you are working from pay check to pay check. Stop waiting for somebody to ask you what your dreams and ambitions are! Stop waiting for somebody to tell you that it is okay to dream big! Not only do people believe that they need permission to dream, they sometimes even need to be physically pushed into doing something about their goal. I don’t know why people are so afraid to dream! So you are waiting for permission to dream? Well, I will give you the permission! Permission granted my friend. I allow you to sit down right now and think about what your ultimate goal is and I give you permission to start creating a business plan to make your dream into a goal and your goal into your own reality. 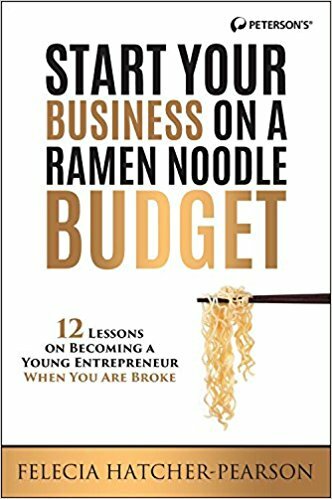 So, start thinking about what your business plan is, how you can test your plan, how long it will take you to test your idea, write down your idea to keep yourself accountable, think about how you are going to make your idea into a reality and the people who can help you get to where you want to go! It is time to start now and it’s time to stop thinking that you have to settle for something less than your best! It is time to stop waiting to dream! Next Post How to use Instagram to Validate your idea.